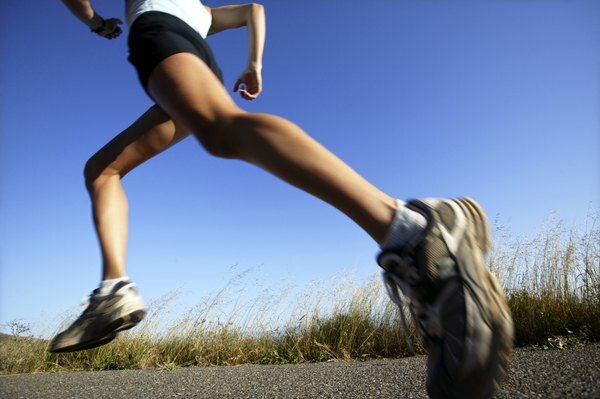 Jogging doesn't have to result in a thigh rash. A thigh rash can instantly stop you in your tracks and ruin your efforts to stay or get in shape. When jogging, the irritation starts when your thighs rub against each other or against your clothing. This friction, also known as chafing, triggers a burning sensation, and if you continue running, your skin can get raw and even start bleeding. To avoid an interruption in your workout, learn how to prevent and treat thigh rashes so you don't have to suffer too much to get fit. The clothing you wear might be to blame for that painful rash you're now dealing with. Those cute jogging pants you're wearing might look good, but they might also be too tight or too loose or they may have seams and tags that rub against your skin and trigger irritation as you move your legs. Next time you go jogging, wear snug-fitting pants made of moisture-wicking fabric, which pulls moisture away from your skin and helps prevent chafing. Look for tagless pants with minimal seams -- cut the tags off if you must. Keeping your skin dry while jogging is essential, because sweat paired with friction is a recipe for disaster. If you're going for a short jog, dusting cornstarch or talcum powder on your inner thighs can help keep them dry. Commercial lubricants geared toward preventing chafing can also be applied to potential hot spots on your thighs. The lubricants help your thighs slide smoothly next to each other without causing friction. On long jogs, bring extra lubricant along, because it might rub off. Alternatively, use petroleum jelly for a similar effect. If you don't keep yourself properly hydrated, you can't sweat freely during your jog. Sweat crystals can form on your skin, which make it prone to chafing and irritation. Drinking water throughout the day and while you're jogging can help. MayoClinic.com recommends checking the color of your urine -- it it's light-yellow or colorless you're doing a good job of staying hydrated. Also, after jogging, make sure to wash your sweaty clothes, because dried sweat and dirty clothes can also irritate your skin. 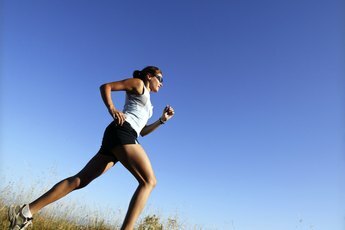 If a severe thigh rash catches you by surprise, you might have to hold off on jogging until the rash heals. Correct treatment can help speed up the healing process. Wash the area with soap and lukewarm water and pad it dry with a towel. Apply an antibacterial ointment over the chafed area and cover it with a bandage. 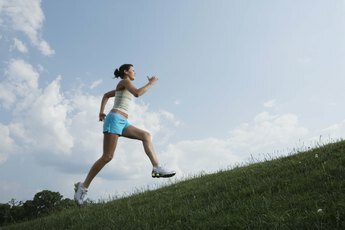 When the raw skin is healed, slowly start-up your jogging routine and take precautions to prevent chafing.